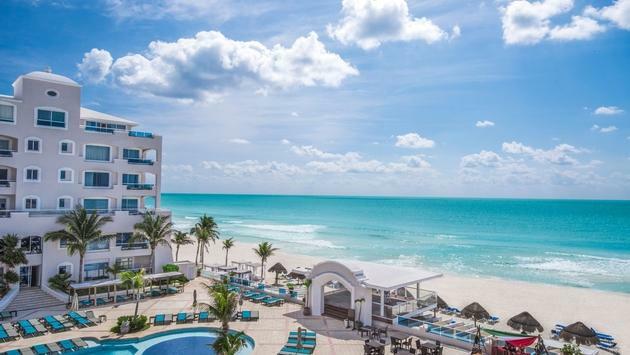 -Save up to 55%on new bookings made now throughMay 7,2019for staysnow through December 20, 2020. -Kids Stay Freeoffer is available for stays from April 29, 2019 through December 20, 2019. Blackout dates: July 5, 2019 -August 10, 2019& September 12 –September 15, 2019. A 3-night minimum stay required. One free child per paying adult, maximum 2 children free. Children defined as 0-12 years old. Available for Ocean View Junior Suites and higher. Not valid for Standard and Junior Suite.Reservations are subject to availability and must be made in advance. Not combinable with other consumer saving promotions. Blackout dates may apply. Offer may be changed or withdrawn at any time. Not responsible for errors or omissions. Other restrictions may apply. ©2019Panama Jack Resorts. ©2019Playa Hotels & Resorts is the owner and exclusive operator of Panama Jack Resorts. All rights reserved.